Teaching Experience : Ian is a future trainee at Travers Smith and is currently working there as a paralegal while studying the LPC. He attained a First Class Honours in Law at the University of Sussex and graduated in the top 1% of his year. Ian achieved the highest results in his year group for Global Business Law and Regulation and his Dissertation. He also won several prestigious academic awards including the Mason Hayes Prize for the best essay in commercial law. He has worked in numerous City firms and legal advice centres and is passionate about providing clear and simple advice to others. He enjoys teaching a wide array of subjects including Commercial law, IP, Business law, principles and theories of privacy, Contract, Tort, Land and Equity and Trusts. 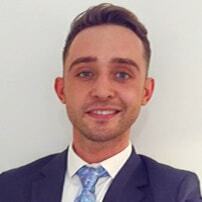 Ian is eager to provide coursework and exam support and guidance to those considering the training contract process. The progression and success of his students mean a great deal to him. He recognises that each student requires a tailored learning experience to remedy their concerns and will provide first-class support to ensure his students' confidence in the matter put before him.